India has played a crucial role in making essential medicines available and affordable for patients in the developing world through generic drugs. This has been possible by linking India’s patent policies and laws to public interest. 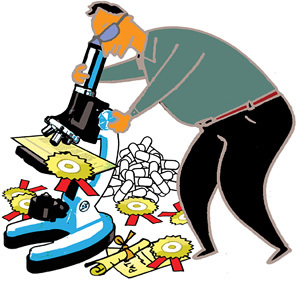 Similarly, policies that align public funded R&D in India with public health have the potential to provide incentives to the development of medical technologies (vaccines, diagnostics and medicines) crucial for treating neglected diseases like malaria, tuberculosis, paediatric aids and kala-azar. Recently Indian policymakers have drafted a bill seeking to provide incentives to research and transfer of technology by public funded institutions. The provisions of the Protection and Utilisation of Public Funded Intellectual Property Bill, 2008 (pupfip Bill) are similar to the usa’s Bayh-Dole Act. Once this bill is passed, scientists, research institutions and universities will have the mandate to create intellectual property on know-how resulting from government grants. The intellectual property, including patents, can then be exclusively licensed to industry. The US model of technology transfer adopted in the Indian bill assumes the public will fund research and the results will be patented and commercialized through exclusive licensing to industry. This approach has failed in the development of technologies for diseases that predominantly affect poor patients in developing countries like India. Despite the US Bayh-Dole legislation and similar legislations in Brazil, China and South Africa, virtually no research into tuberculosis drugs has been carried out since the 1960s. The sputum test used widely in India and other developing countries to detect patients with active pulmonary tuberculosis was developed in the 1880s and is hampered by very low sensitivity. So only about 45 per cent of infections are detected by sputum microscopy. Recipients of government funding in the US have pursued patents with industry that are not aligned to public interest. They have used licensing provisions that hinder research and prevent access to the medicines that are results of government-funded research. People living with hiv/aids will testify about their struggles to access a number of medicines patented and exclusively licensed to pharmaceutical companies. Patients in a number of developing countries cannot afford antiretrovirals such as didanosine, ritonavir and tenofovir developed with government funds. Cancer patients have had a similar experience with the drug imatinib, developed with critical inputs from scientists and resources from public funded institutions and then exclusively licensed to Novartis. The bill does state that “the ultimate objective, is to ensure access to such innovation by all stakeholders for public good.” But it does not have enough provisions to ensure this objective is met. Missing are safeguards for ensuring fair pricing and access to products of research, including technologies developed using public resources. There is also nothing on the right of the government to override the patent and license agreement in public interest. Patentees and licencees also do not have to pay royalty-free licenses to researchers and scientific institutions—this is crucial to avoid stifling of follow-up research. The bill’s biggest drawback is that it considers patenting as the only incentive to promote “creativity and innovation”. Patents should be just one of the ways for doing so (with safeguards to avoid abuses). For example, in csir’s Open Source Tuberculosis Drug Discovery programme, all the research results are available online. If the bill is passed in its current form, researchers involved in this project will be violating the law by publishing the results online without first filing for patents. It is essential the law approved by Parliament should not damage both science and health. So this bill should be subjected to a wider public debate.